Tripoli Nursing & Rehab is a non-profit 28 licensed bed long-term care setting certified by Medicare and Medicaid. We are committed to providing excellent care and support to residents, families, the community and our employees. We provide skilled nursing, rehabilitative therapy services, continuous nursing care, social services and activity programs designed to meet various types of individual needs. 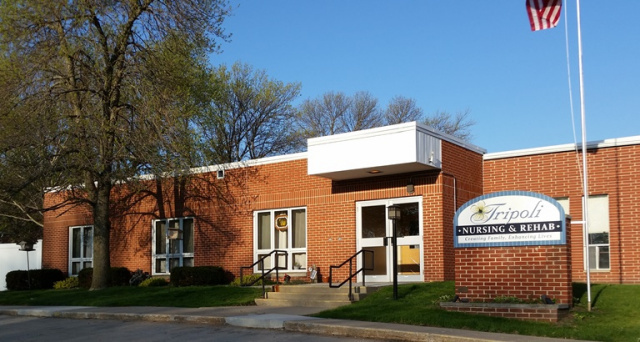 Tripoli Nursing & Rehab has an established and successful track record in long-term care since 1967, serving the Tripoli community and surrounding areas. Tripoli Nursing & Rehab takes pride in the services we provide to individuals in our community within a long-term care setting.